Dark Meat Chicken Chunks, Whole Eggs, Soy Bean Oil, Water, Cornstarch, Chili Powder, Salt, White Pepper, Ginger, Garlic And Green Onion. Green Bell Pepper, Red Bell Pepper, Brown Onion, Fried Dry Chili and Water Chestnut. Fried Peanuts (Peanuts, Peanut Oil). Water, Sugar, Soy Sauce (Soy, Wheat), Vinegar, Modified Corn Starch, Lime Juice, Salt, Ginger, Garlic and Green Onion. Contains Eggs, Soy, Wheat & Peanuts. Place frozen chicken pieces in a microwave-safe dish and cover with a paper towel. Heat for 3 to 4 minutes; add vegetables, re-cover with paper towel and heat for 1.5 to 2 minutes more. Add sauce, toss to cover chicken and vegetables, place back in microwave and heat for 1 minute longer until hot. Toss once more, top with peanuts and serve. Microwave cooking times may vary depending on oven wattage. BE CAREFUL when adding frozen foods to hot oil. If the oil is too hot, the water/ice from the frozen food will caused the oil to pop and potentially catch on fire. Point is, don’t heat the oil too much before adding the ingredients. Click here for tips on putting out kitchen grease fires. When we just can’t muster the courage to cook dinner, takeout has long been our go-to savior. But too often, the resulting dinner has been uninspired with questionable nutritional value and food quality. These days, we try our best to have a few TJ’s frozen dinner options on standby in our freezer. They’re reasonably priced, relatively easy to make and you know exactly what’s inside. Plus, if you choose wisely, you’ll be cooking up a knockout dinner packed with flavor. 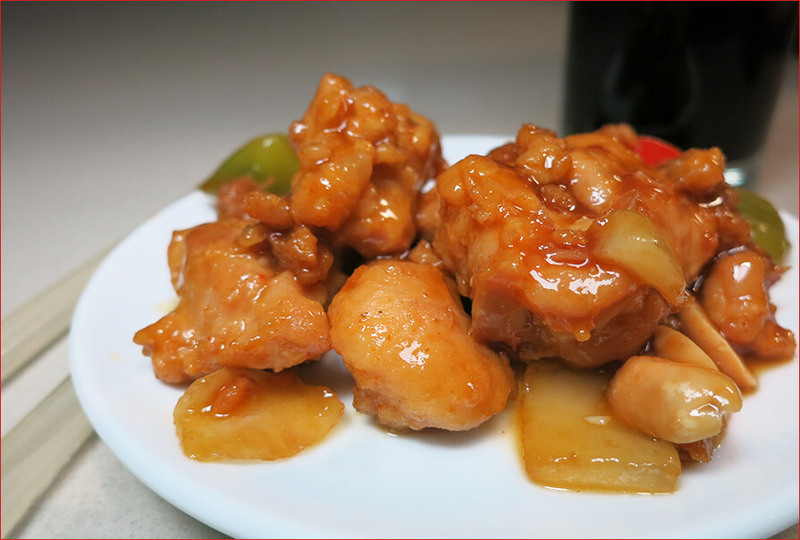 This Kung Pao Chicken is a great example. The sauce is flavorful, with a solid (but not intense) spice and the right amount of sweet. The chicken was plentiful and mostly plump, though there were some tiny scraps of chicken mixed in there too. Thankfully, it cooks up very tender and soaks up the flavor of the sauce nicely. From a texture perspective, the veggies keep their crisp for the most part, and the peanuts add a complex crunch to the dish. If you’d like, you can add some white or brown rice to this dish to really round out the meal. All told, we were very impressed with this dish, and it’s definitely earned a spot on our Trader Joe’s grocery list! 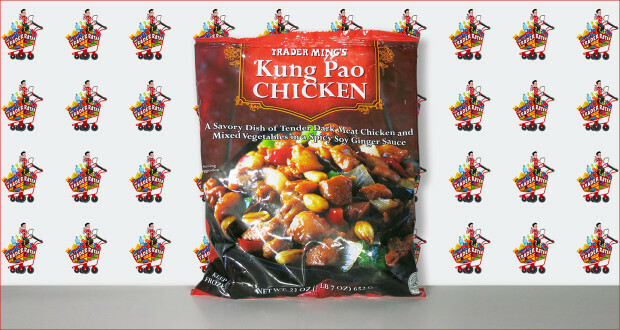 Summary : With a flavorful sauce that's just the right amount of spicy and sweet, this Kung Pao frozen dinner has earned a spot on our Trader Joe's grocery list! This has become our favorite ‘freezer meal’. We make sure to always have this on hand for those nights we just don’t feel like baking ‘from scratch’. The flavor is wonderful. We’ve tried two other frozen Asian-inspired meals at Trader Joes and both were disappointing. But we’re going to keep trying. Agreed, Patricia – we love this meal too. Much better than ordering takeout! Cheers!